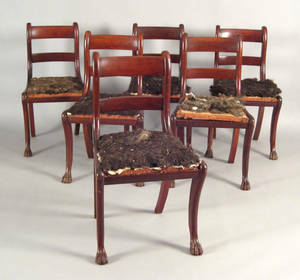 United states half-dollar coins; approx. 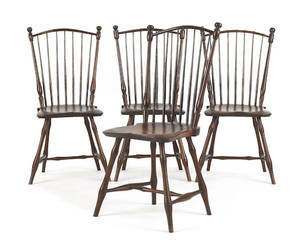 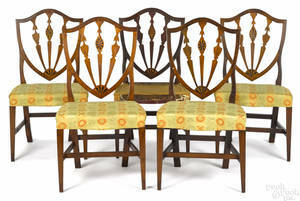 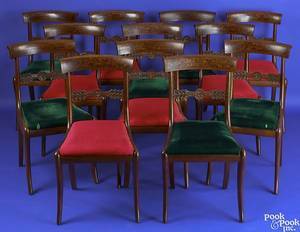 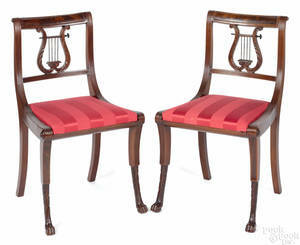 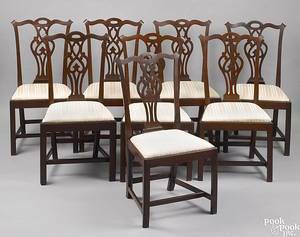 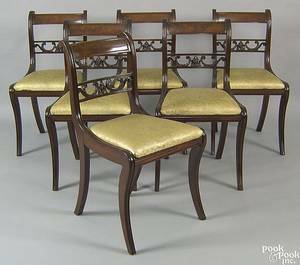 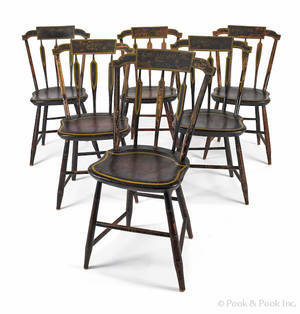 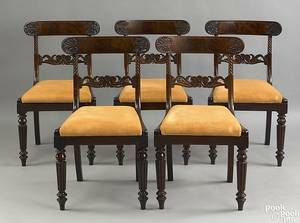 Set of six New England Federal mahogany dining chairs, ca. 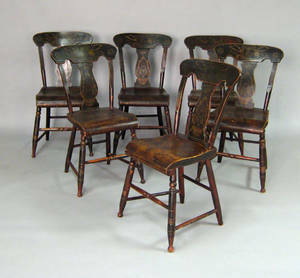 1830 , with animal paw feet.